We’re thrilled to announce our first contest! First, a little on why we’re doing this (rules and prizes are below). October 11 is National Coming Out Day, which has been celebrated for almost 30 years. According to the Human Rights Campaign, on Oct. 11, 1987, the March on Washington for Lesbian and Gay Rights took place, the second of its kind, which led to the founding of many LGBTQ+ organizations. A few months later, activists from around the country gathered and decided to make a national day to celebrate coming out, and they chose the march’s anniversary to mark it. “Each year on Oct. 11, National Coming Out Day continues to promote a safe world for LGBTQ individuals to live truthfully and openly,” HRC says. Here at Profiles in Pride, we start every interview by asking about that person’s coming out story, and every single one is beautifully unique. Some share stories of hardship, abandonment, and pain. Others share stories of love and acceptance. But all of us have to go through this process in some form or fashion — some on a continual basis — and regardless of whether it’s well-received or not, it takes a huge amount of strength and courage to show your authentic self to the world. Some argue this day shouldn’t have to exist; that it reinforces heteronormativity by requiring us to proclaim to the world that we are different. Maybe they’re right. But given how much progress our world still needs to make for LGBTQ+ rights, we wanted to commemorate this day somehow. 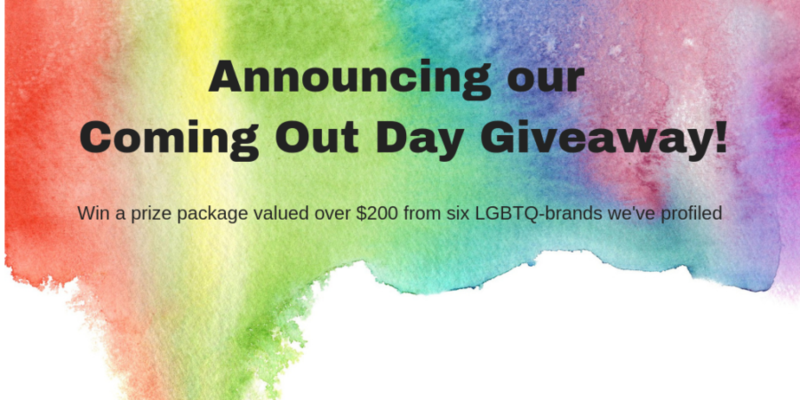 So we’ve partnered with six of the incredible LGBTQ+ entrepreneurs we’ve profiled to put together a prize package valued at over $200 for one of our lucky readers. The contest launches today, October 4, and runs through Coming Out Day, October 11. 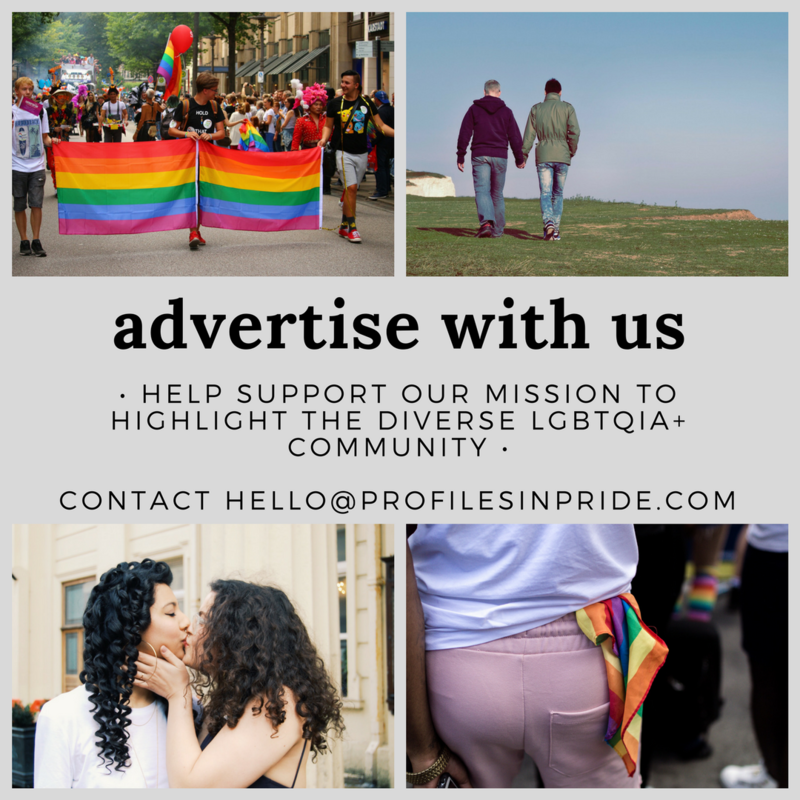 Head over to our Instagram account @ProfilesinPride and follow us. Comment on our “Enter Now” post and tag someone who inspired or helped you on your coming out journey. It can be a friend or a celebrity; doesn’t matter! For an extra bonus entry, repost our Instagram post and tag us so we can see it (if your account is private, DM us a screenshot of your post). The lucky winner will be randomly chosen and announced on October 12! 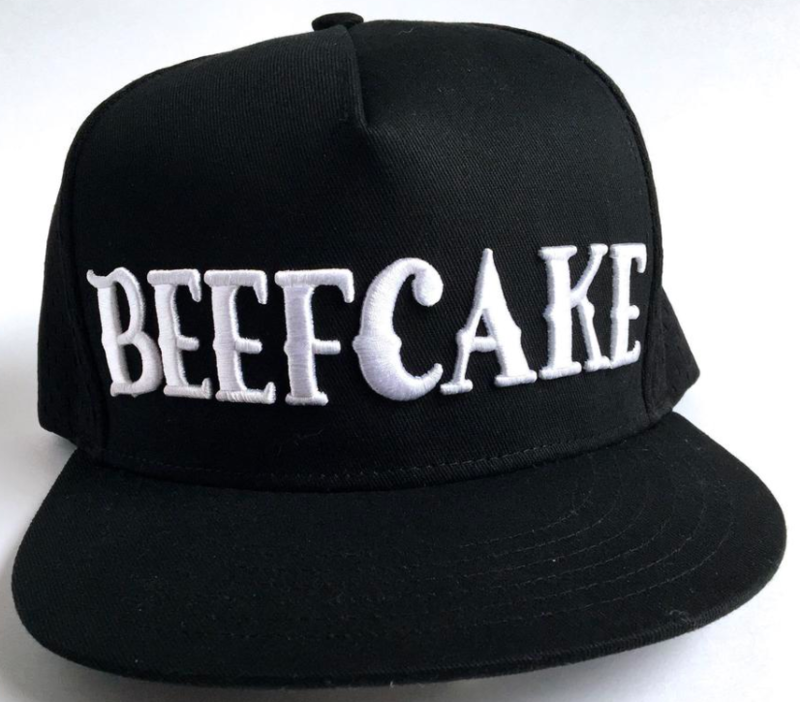 One hat from Beefcake Swimwear, an androgynous swimsuit line. Read our interview with creator Mel Wells. One “Come Stand Out” shirt from GAYTX, a merch company creating a new LGBTQ sizing system. Read our interview with co-founder Cole Crum. 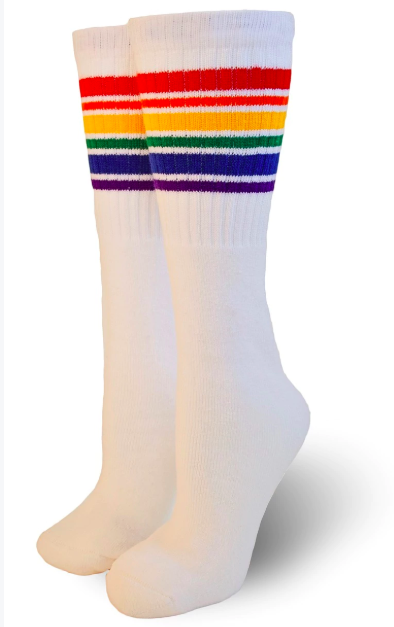 One pair of rainbow socks from Pride Socks, a lifestyle brand all about cultivating pride. Read our interview with founder Rachel Smith. A copy of “Let Me Out,” a pop-up book for all ages about coming out. Read our interview with creator Omid Razavi. 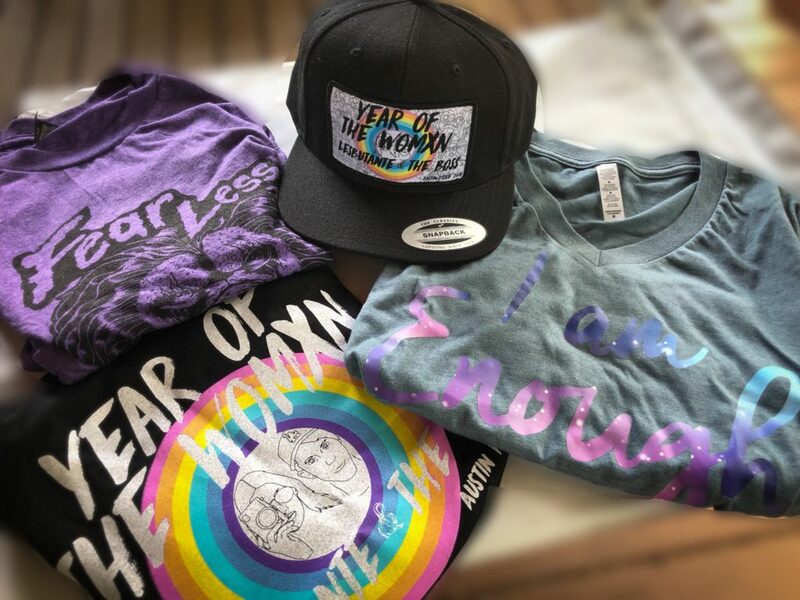 A shirt and hat from Lesbutante & The Boss, a gay duo that hosts events in Austin for queer womxn. Read our interview with the couple, Michelle Solorzano Daly and Kelly West. Two shirts from Point5cc, an empowering LGBTQ lifestyle brand with a purpose. Read our interview with founder and transgender activist Aydian Dowling. Thank you so much to the businesses that generously donated items. We hope you’ll enter to win, and good luck!